Searching for the perfect CISSP study materials could be the one of the most important decision you make on your journey towards becoming a Certified Information Systems Security Professional.The difference between effectively passing or failing the CISSP exam relies upon how well your study materials coordinate with your learning style and schedule.You will be spending countless hours studying it, so it’s crucial to find the one that best fits your learning style. Using the wrong prep course can cause you to score lower and fail your exam, costing you months of study time and additional exam fees. CRUSH is here to make sure that doesn’t happen!So here’s the great news – we have personally tested and demoed online the CISSP study materials below so you don’t have to. The comparison chart below will enable you to make sense of which one best fits your requirements. How Can I Pass The CISSP? What Is On The CISSP Test? Money-Back Guarantee: SimpliLearn offer full money-back guarantee for their CISSP Online Course. They allow students 3 days demo to test the course and making sure that they are well pleased by it. If someone finds the course to be unsatisfactory and have not yet accessed more than 50% of the content they can request for a refund. Simulation Exams: This training comes with 5 CISSP Simulation Exams. Each exam exam of 250 questions and ultimately summing up a total of 1,250 online questions. The exams are meant to simulate the real CISSP Exam and will allow the student to evaluate different areas of study. CPE Credits: SimpliLearn’s CISSP counts towards your 35 Continuing Professional Education (CPE) Credits or 30 Professional Development Units (PDUs). This training can be an incredible approach to keep up with your ongoing professional education requirements. Flexible Lessons: The on-demand CISSP Boot Camp Course is taught by Shon Harris and David Miller through interactive lessons intended for your busy schedule. You have the choice to finish the programs all together, or return to training lessons as many times as you like. CPE Credits Included: When you complete the CISSP review course, you will also have completed 32 CPE credits that can go towards other requirements for your CISSP license. You will be given a course certification to demonstrate the completion of the CPE credits. Free Demo: CISSP Exam Practice offers a free demo for you to try out the lessons. You should simply tap the “Course Demo” button on the CISSP course description page and you will have the permission to experiment with a few lessons. Video Training: This course offers you an incredible opportunity to simulate future workplaces and play out genuine situations with its unrivaled full-motion video training. With such broad choices in this regard, you’ll be set up for test in a matter of time, particularly given the considerable nature of instruction that accompanies each course. Flexible Lessons: The on-demand CISSP Boot Camp Course is taught by Mohamed Atif a specialist and certified teacher with over 20 years of experience. Mohamed has a long list of certifications and great overall student reviews. CPE Credits Included: When you complete the CISSP review course, you will also have completed 30 CPE credits that can go towards other requirements for your CISSP license. You will be given a course certification to demonstrate the completion of the CPE credits. Free Demo: Master of Project Academy CISSP Exam Practice offers a free demo for you to try out the lessons. You should simply tap the “Course Demo” button on the CISSP course description page and you will have the permission to experiment with a few lessons. Money-Back Guarantee: MPA offers full money-back guarantee for their course. They allow students 3 days demo to test the course and making sure that they are well pleased by it. If someone finds the course to be unsatisfactory and have not yet accessed more than 50% of the content they can request for a refund. Student Support: Students enrolled in this eLearning course will have access to a live subject matter expert that can answer questions and help along the way to CISSP certification. Having an expert available is a fantastic feature, as it allows CISSP candidates to get helpful and precise answers to their questions. Course Content: You can get more out of the Transcender eLearning course by consolidating it with their training exam program. Combining the 2 parts of this course gives you 23 hours of course instruction, 949 practice questions, and 1,040 flashcards to review. The practice exam program comes of an additional $169 and allows you to customize your experience through taking timed exams, selecting which objectives you’d like to be tested on, and testing yourself with flashcards. Free Demo: They are so certain about their training exam program that they offer a free demo of it. Students will need to make a free account and allow pop-ups in their web program to get to the demo. The demo allows the students to get a smart thought of how Transcender’s CISSP practice exams work. Flexibility: Having various examination choices with long term access makes the Transcender CISSP training an incredible and flexible choice for a wide range of students. The consistently changing digital universe of information technology is developing at a colossal pace. The reliance of governments, business and individuals on the IT framework has made it an alluring jackpot for criminals. The cost of cyber attacks, vandalism and hacking have fetched organizations billions. Most recent wanna-cry attack has already exposed several vulnerabilities.One of the reason for failed security measures that surrender in front of advance threats is the incompetency of information security professionals. IT security is normally considered a job of high tech professionals expert in coding, scripting but with no business acumen. This has resulted in efforts that were not aligned with business objectives and goals.Many certifications are available in market that accredit the expertise of information security professionals. The certifications help potential selection representatives and market as a whole to check the information security expertise of an expert. In the ocean of increasing certifications Certified Information System Security Professional (CISSP) rose as the best quality level because of its magnificent arrangement between specialized expertise and business learning. CISSP is the most all inclusive perceived accreditation in the data security showcase. Required by the world’s most security-consciuos associations, CISSP is the business driving certification that guarantees you have the profound specialized and administrative knowledge and experience to successfully design, build, and deal with the general security posture of an organization.Definition and purpose of CISSP is clearly elaborated by ISC2, the organization that conducts CISSP certification program. They state“The vendor-neutral CISSP certification is the ideal credential for those with proven deep technical and managerial competence, skills, experience, and credibility to design, engineer, implement, and manage their overall information security program to protect organizations from growing sophisticated attacks”Hence CISSP exam tests and verify the person’s knowledge and skills both in technical and managerial domains. In the following section I will elaborate various questions that arise in the mind of CISSP aspirants. So on the off chance that you have over 5 years of experience in the desired fields, you simply need to begin. However CISSP does not come at a low cost. A lot of invetment is required attending to CISSP training camps, CISSP preparing and purchasing CISSP learning material. CISSP exam itself cost $600. Most of the free material accessible on web is from old 10 domain design. A journey is successful if the goals are well defined and understood. Understanding CISSP test, what it is, how it test you and how tough it is can really set you on strong base for the gigantic task. The long 6 hours 250 multiple choice questions, test your knowledge, patience and persistence. It requires a lot of study, practice tests, practical experience and strong conceptual grasp on CISSP knowledge areas.The test consist of multiple choice questions with the following distribution percentage of questions. Courtesy ISC2As you witness the inquiries will be well spread over all spaces and true endeavors must be made to ace every one of the 8 domains. All the questions in CISSP don’t carry equal marks. The value of every question depends on its difficulty level. In addition to these 25 questions are experimental which are included for test purposes. These questions are not rated for calculation of your last score. In any case you can’t separate between these test questions and the evaluated ones. CISSP requires knowledge of all the 8 domains mentioned above. You will need the following four resources to prepare for the exam. Your choice of book will help you determine the scope and milestones of your study. I would recommend CISSP (ISC)2 Certified Information Systems Security Professional Official Study Guide 7th Edition. It’s one of the highest rated book on amazon with various 5 star reviews. The book is well written and concise. The information given is to the point and there is no extra detail that is not related with CISSP exam. The book is divided into 21 chapters that are curated to make the reading and understanding easy.In addition to this main book you can always consult additional books for in depth understanding of concepts. CISSP All-in-One Exam Guide is an excellent book for going through your weak topics. However the detail oriented book should only be used as reference instead of using it as one and only book. Books by Eric Conrad are also praised and highly rated by CISSP test takers. A lot of free and paid video lectures that are available in the market. The most effective ones are by Kelly Handerhan on Cybrary. Her lectures are brief, to the point and creates the mindset which is very important for passing CISSP test. CISSP puts you in a position of risk manager, hence all your decisions and choices must be based on that context. The great news is that lectures the are free of cost. CISSP market demand has made it an appealing certification which is look for by enormous number of IT security experts. A ton of organizations offer on web and on location CISSP trainings. 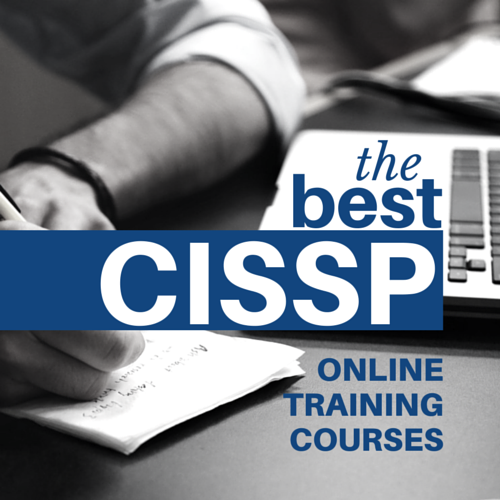 These CISSP classes give a quick head start for learners and aides in understanding the scope and knowledge areas of CISSP. You can see our comparison at the top of this page for the best CISP training camps accessible. Sybex Test Bank: This comes along with the book and adds significantly to the value. There are 20 questions for each chapter along with (4) 250 questions full exams. MCGraw Hill practice exams. These CISSP practice questions and audio lectures were developed by Shon Harris and the Logical Security development team. We worked hard to develop a comprehensive set of questions and lecture files that will better prepare you for the CISSP. A survey reports that the highest concentration of CISSPs are located in DC, NYC and Atlanta Georgia. The city with the highest average salary was NYC, coming in at $119,840/yr. Information Systems Security Architecture Professional (CISSP-ISSAP). The architect plays a vital role within the information security department with responsibilities that functionally fit between the C-suite and upper managerial level and the implementation of the security program. Information Systems Security Engineering Professional (CISSP-ISSEP), an advanced information security certification issued by (ISC)2 that focuses on the engineering aspects of information security. ISSEP is the guide for incorporating security into projects, applications, business processes, and all information systems. What security flaw conveys information by writing data to a common storage area where another process can read it ? Answer: CA covert storage channel conveys information by writing data to a common storage area where another process can read it. Securing data in such a way introduces a security flaw that allows unauthorized user to access the data. Jean is an internal auditor who consistently uses the audit logs of various network systems to product reports. In an email to the VP of IT, she stresses how important it is that proper protection controls are put in place to protect the audit logs. Of the justification listed below, which is the weakest. Unprotected audit logs can be easily altered by an intruder after committing a crime. Unapproved changes to audit logs hurt the consistency and efficiency of automating reporting. Audit logs often contain sensitive information and must be protected. In the event of an investigation, an unprotected audit log may be deemed inadmissible in court. Decide if the company needs to perform a walk-through, parallel or simulation test. Answer: CA BIA includes identifying critical systems and functions of a company and interviewing representatives from each department. Once management’s support if solidified, a business impact analysis needs to be performed to identify the threats the company faces and the potential costs of these threat.